perfect time to celebrate Fall. Mercer Island Youth and Family Services and Mercer Island High School scholarships. Mary Lee & Associates had a great turnout at our booth where we held a “Guess the Corks in the Jar” drawing! a Gift Certificate to Terra Bella (valued at $100). 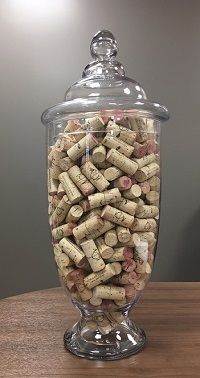 We would like to thank all the folks who stopped by our booth and the winner for the Mary Lee Real Estate “Guess your Corks in the Jar” drawing will be contacted soon for their winning prize. Cheers to a wonderful community event partnership with Mary Lee & Associates and the Mercer Island Chamber of Commerce!